I hope you are as excited as we are to kick off another year of spreading this national community to every corner of the country and beyond. Since 2014, this group has climbed 160x the elevation gain of Mt. Everest, raised over $90,000 for the American Foundation for Suicide Prevention’s life-saving work, and spread a message of hope from remote backcountry to across the interweb. I have often said in the past that this event belongs to every person who partakes in it. While we do our best daily to increase 46Climbs’ reach on social media to let more people know about the event, it would be nowhere near this large without everyone’s help. You all have all bought into this idea, and in 2016, 69% of participants were referred to 46Climbs by a friend! So why has this team’s campaign been so successful in this short period of time? While the activities we all pursue, rock climbing and hiking mountains, are pretty inspirational, I don’t believe that is what makes us great. I believe that people want to join 46Climbs because this event is a bold declaration of love; love for those we have lost, love for those who struggle around us, and love for our brothers and sisters across the country (and beyond) that we don’t know who are struggling with mental illness or loss. You all have taken time out of your daily life to plan and follow through with challenging hiking and climbing goals to make a difference and shine a positive light mental illness and suicide. I believe we all have done just that. With that being said, I think we are just getting started. The signup for 46Climbs 2017 is live. 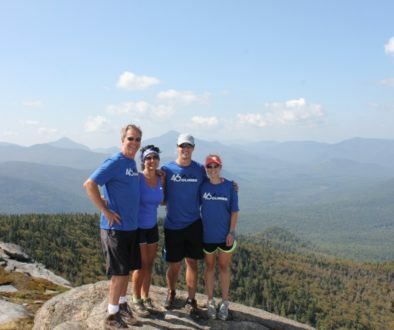 We will be attempting to raise $60,000 for AFSP through climbing and hiking mountains from September 1-10. We hope you will join us again and continue to spread the word. -Please sign up ASAP if you are someone who forgets until the last minute so we can get you your package on time. Looking forward to more Positive Altitude! It’s finally here! Tomorrow starts the first day of 46Climbs 2016. As a 46Climbs participant, you are well aware of the problem of suicide and mental illness. When you go out to the mountains in this coming week, know that you are part of something much greater. Take a good look at the map of participants. Go ahead…zoom in and scroll around that map. You are not alone out there. Over 200 others will be standing with you on summits all across the country! During 46Climbs 2015, 118 participants climbed the equivalent elevation gain of 75x Mt. 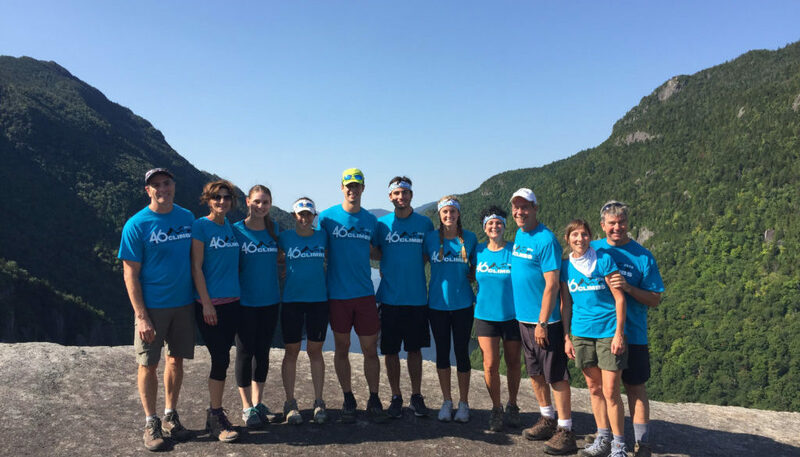 Everest, raising $29,500 for the American Foundation for Suicide Prevention. These funds were used for research, education, advocacy, and help for those who need it. 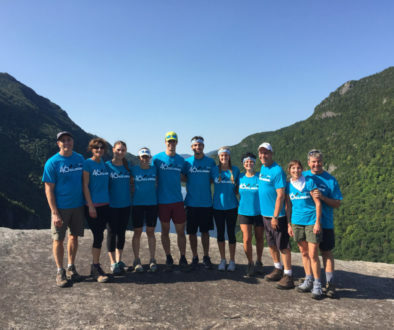 Aside from the impact that made towards AFSP saving lives, we were notified that a few people in crisis were so inspired by 46Climbs participants that they were moved to reach out for help. It’s hard to imagine how many others out there were impacted that we didn’t hear about. You also can’t quantify the impact of conversations made out on the trail, the tens of thousands of views to our website, and the ability to honor a loved one or make a declaration of strength over one’s illness. There were so many dimensions to this event that made a difference, and this year we will be doing it with almost twice the participants. This year, we will be doing a few things to coordinate some interaction among our participants to see what everyone is doing all across the country. 1). When you take your “summit picture” with your 46Climbs shirt and/or bandanna, add it to your social media (Facebook, Twitter, Instagram) with the hashtag #46Climbs (just type “#46Climbs” at the end of any post regarding 46Climbs). For those who are unfamiliar with hashtags, it connects your post with everyone else’s who uses #46Climbs in their post. When you search the hashtag on Facebook, Twitter, Instagram, or click on the link it creates under your picture after you post it, you will be able to see all the others who have done the same. Very cool! 2). 46Climbs is now on Snapchat! Snapchat is an app that lets you add live stories and we are going to use it to try to connect with everyone live (bear with us-this is the first time we have done this). If you have an account, add “Snap46Climbs” to connect with us (if not, you can add the app and create an account). We are looking for people to take over the 46Climbs account on their trip, so if you are interested please email me! This is only going to work if we have people volunteer. Many areas may be out of cell service, but you can load your stories once you get back in service. If you have any questions about anything, please let me know. Please review the Leave No Trace principles on the card that was sent to you in your participant package. It is very important that we all respect the areas in which we will be climbing/hiking so that every adventurer can continue to enjoy these wild places. Please also make sure you are aware of the specific policies in the area(s) you will be. This includes group size. Please be aware that there may be other 46Climbs groups in your area. Despite not being one coordinated group, it may look like you are one giant group if everyone is wearing the same 46Climbs shirt. 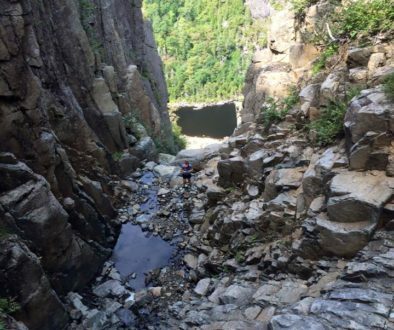 If you come in contact with another 46Climbs group and it puts you over the legal limit (for example, 15 people within one mile in the Adirondacks), please separate from each other because that will be a hard one to explain to a forest ranger. We want to make sure everyone’s experience is a positive one and getting fined may hinder that. Your safety is your responsibility. Our “What Should I Bring?” post contains “general” information on what to bring with you on a hike (targeted for the Adirondacks). This does not pertain to all activities/areas of the country/world. Participate within your own limit- the mountain will always be there. Make sure someone knows where you are and hiking with another person is always safer. If you haven’t told me the mountain(s) you will be climbing during the event, or if you have changed yours, please let me know so I can update the map. Thank you for reading all the way through! Now, lets take on those mountains! It’s day 6 and what an incredible week it has been thus far! We have been seeing all of your awesome summit pictures on social media, bearing smiles and your 46Climbs swag, and you have also shared some powerful stories. To think, we have another 4 more days of climbing and stigma crushing yet to come! The funds raised for the American Foundation for Suicide Prevention now total $39,525 and our participants continue to be on the rise, with 243 strong. When you climb your mountain(s), take a picture with your 46Climbs shirt/bandanna and make sure to post that picture to social media (Facebook, Twitter, Instagram) with the hashtag #46climbs. For those unfamiliar with hashtags, all you have to do is type “#46Climbs” at the end of your post. If you have posted a photo already and have not done that, please edit it and add #46Climbs. This allows everyone who searches #46Climbs on Facebook, Twitter, or Instagram to be able to see your picture and everyone else’s from this national movement. Go ahead and search for it! We have been having some technical difficulties with the “Snap46Climbs” Snapchat (phones have died before being able to upload the pictures/video when in service), but we are still looking to make it work. If you are interested in taking the account with you on your hike, please email me and I will give you the login information. If you want to take a different approach and post a Facebook live video (or a regular one), make sure to use the hashtag #46Climbs. Keep sharing and fundraising! You never know who will be impacted! Are You Ready for 46Climbs?